I'm finally back to work after the Thanksgiving holiday! I cooked and ate ALL the mashed potatoes and apple pie and turkey and cranberry sauce, and between being with family and friends all weekend, I'm only just resurfacing from my food coma! 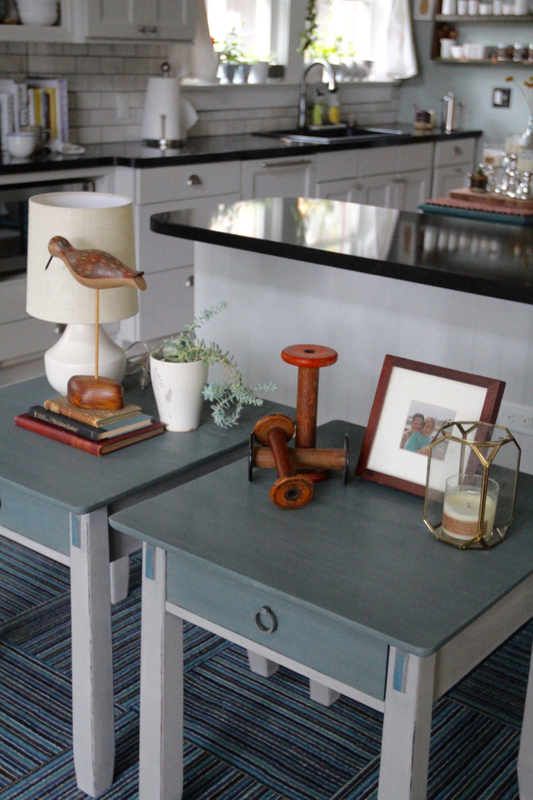 Since I'm playing catch up with a few projects right now, I'm not going to get all that eloquent with my furniture chats on the blog, but I did want to keep sharing my current pieces! This pair of side tables was donated to me by friends who moved away to Dallas [why does everyone leave me?! ], and I've held onto them for months. I decided to play up their craftsman details by incorporating two colors onto the finish. 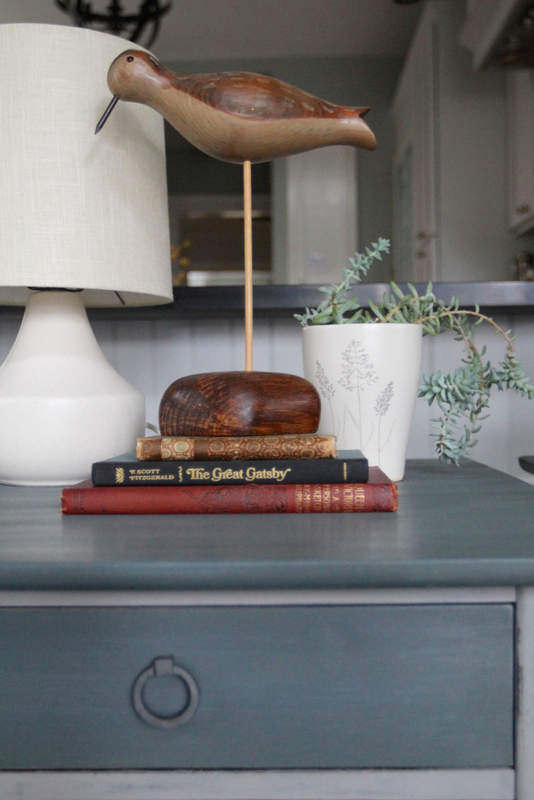 I created a deeper gray/teal using a hodgepodge of Annie Sloan paint colors [still working on finishing up my leftover paint cans!]. I went with Paris Gray for the base, keeping the distressing along the edges and legs. This pair is simple, but the combination of colors gives them a bit more interest and distinction. I'm quickly running out of space in the house [I keep finding more and more furniture to paint! ], so I moved these to my Airbnb as a pair of nightstands beside the bed, but I will put them up for sale as soon as my current guest checks out in the next week or so! Scroll down to see some quick photos I took of this lovely pair!